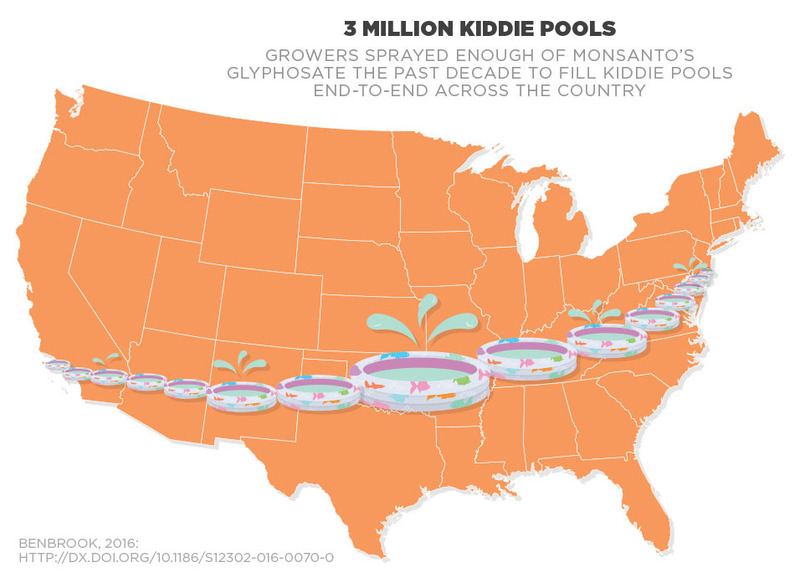 Benbrook found that growers around the world have applied the vast majority of glyphosate to their crops in just the last decade – 2.4 billion pounds between 2004 and 2014 in the U.S. alone – driven by the widespread adoption of genetically engineered corn, soybeans and cotton. That’s enough to fill three million kiddie pools. 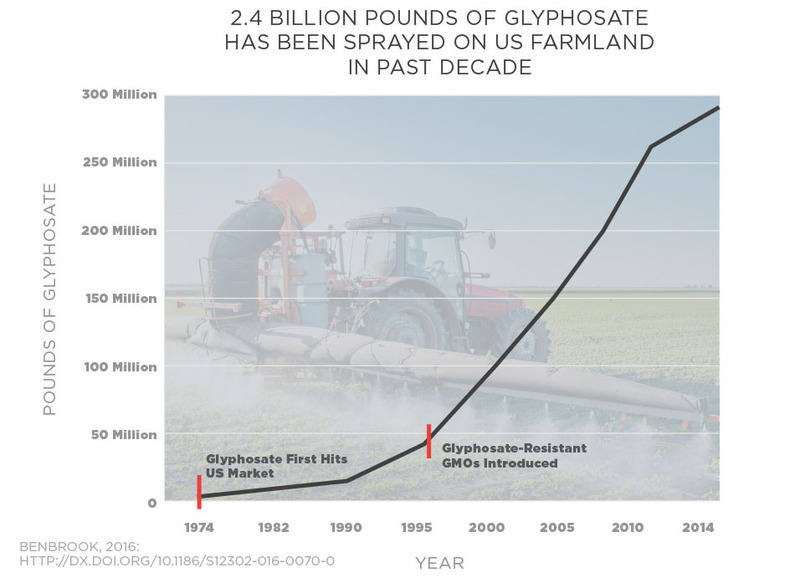 Meanwhile, farmers’ overreliance on glyphosate has lowered the weed killer’s effectiveness. And right now, the quick fix “solution” to this chemical problem is, wait for it… more chemicals – at least among growers who don’t use more integrated approaches to weed removal. Organic farmers, for instance, don’t use glyphosate or any synthetic pesticides. Although only about 1 percent of American farms are currently certified organic by the Department of Agriculture, the rising sales of organic food may soon lure more. Organic sales topped $39 billion in 2014, according to the Organic Trade Association. Short of organic farming, farmers can reduce their use of glyphosate and other chemicals by applying a variety of proven weed management techniques. Unfortunately, however, Congress has funneled the bulk of taxpayer dollars spent on agriculture to growers who are ramping up the chemical treadmill by relying overly on toxic weed killers. Less than 1 percent of the funding spent under the federal Farm Bill has anything to with organic farming, and only a fraction of those dollars go to help farm operations become certified organic. The next Farm Bill will need to do more to help farmers become better stewards of the land.